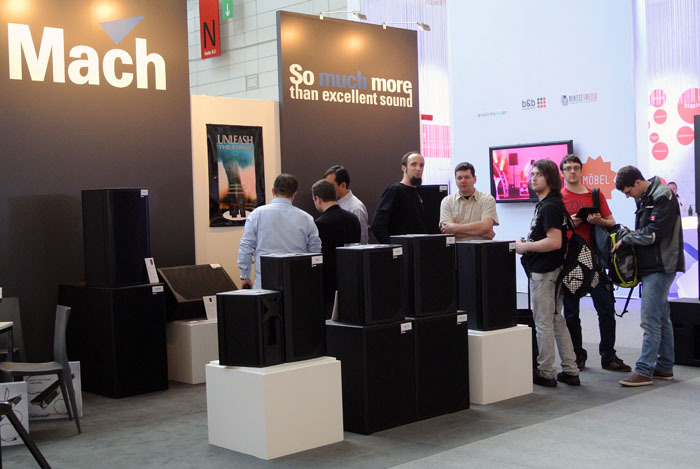 Mach has returned to Prolight + Sound Frankfurt 2013 show with great success of it's extensive range of new products including the WLA line array, ELA compact line array and Shine slim column series as well as the new edition of classic C series for installation market and T series for touring market. During 4 days of exhibition, the simple designed booth was solid with visitors, a Mach user from Germany said that: " I was very surprised to see Mach again and glad, that some of the well-known products are still producing, and much more that even have developed new products which I keep asking for during the old time". The Mach product design center in Europe is now full speed ahead for new product development including speaker management system and amplifiers.